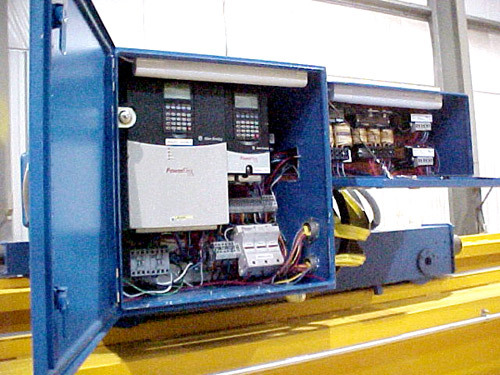 CRS CraneSystems inc. can supply Variable Frequency controls for any crane motion. We can supply everything from standard open loop controls for bridge and trolley motion up to complex closed loop flux vector hoist controls including PLC’s, encoders and other motion sensing devices to ensure precision lifting and load control. Contact your local CRS representative for more information on our Variable Frequency control systems. CRS custom designed, Variable Frequency bridge and trolley travel controls mounted in NEMA 4X stainless steel enclosure. 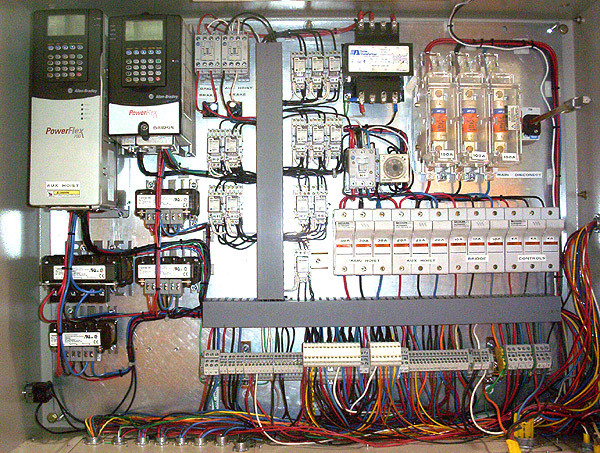 CRS custom designed, closed loop Variable Frequency hoist and trolley controls.